It’s March already and around this time of year I start thinking about…spring cleaning! I know it’s more of a cliché, but I really do get the urge to de-clutter and clean everything in my house. All those salt stains and water marks winter has left behind, as well as getting the oven cleaned from heavy use in the winter and prepping the BBQ for the heavy use it’s going to go through! 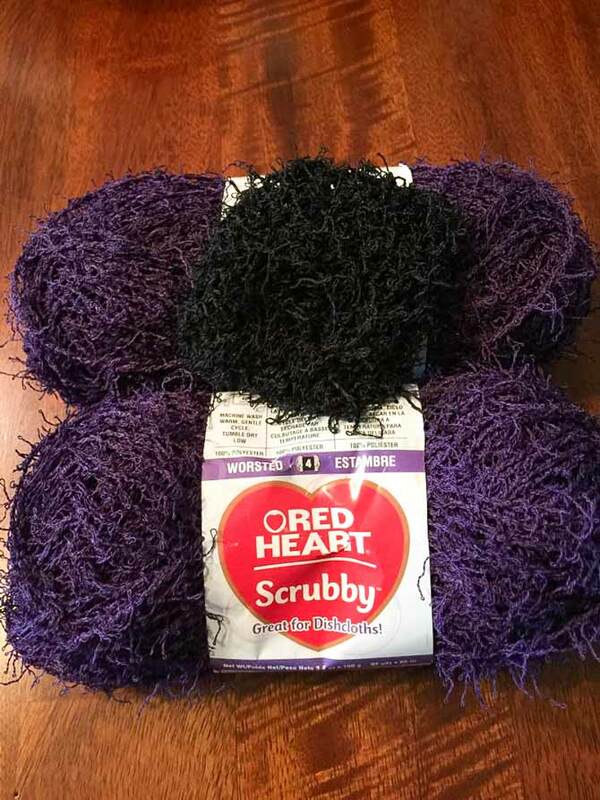 Since we’re going over Red Heart’s Scrubby and Scrubby Sparkle, I’m going to give you some spring cleaning tips involving knitted cloths. I realized after I took the photo that the Scrubby dishcloth tied on looks like a super hero cape. For spring cleaning, I think it’s appropriate. With a heavy deep clean like this, more often than not, we’re using harsher chemicals to clean stubborn stains and caked on grime. One thing you don’t want to do is use your dish cloth with an oven cleaner. I’m always weary about residual residue after I have washed everything; corrosive chemicals are not something you want anywhere near your dishes. Something I’ve implemented in my own home is to knit cleaning cloths in specific colors and knit dish cloths in other colors. I happen to knit dish cloths in orange and blue, because those just happen to be the colors in my kitchen (I know what you’re thinking, “orange and blue? Really?” but it totally works). That being said, cleaning cloths in these two colors are multipurpose and can be used on counters, microwaves, etc. I knit anything that’s used with harsh chemicals in a very dark color. I try for black, or dark purple/green/red; partly because then I don’t have to worry about staining and partly because dark colors just seem ominous to me. It’s a mental link carried over from analyzing historical texts. Dark colors usually mean something suspicious and nefarious is going to happen. Scrubby in Grape and Black, looking nefarious as ever. These dark cloths are also made out of 100% synthetic materials. 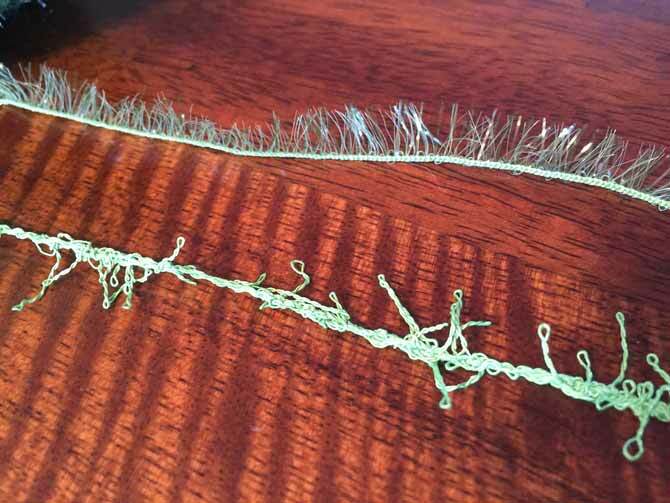 Natural fibers, like cotton or bamboo, hold onto the things they come into contact a little more. Think photosynthesis: plants absorb light and water, then use it to grow. If you’re just exposing these natural fibers to dish water, it won’t be the end of the world if there’s some leftover dish soap in your cloth after a good washing. I tend to think of synthetic fibers, such as polyester, as the bristles of a brush; hard cleaning power that repels dirt and grime. 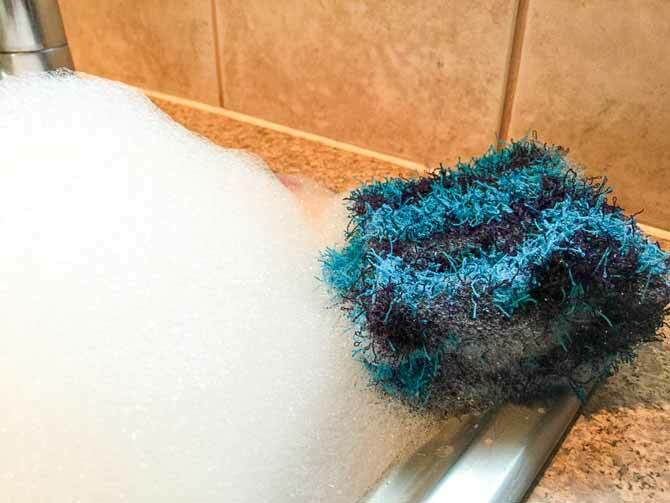 A strand of classic Scrubby and Scrubby Sparkle side-by-side. They may look completely different, but they have both got immense cleaning power! It might seem like common sense, but I’m going to make a point of it anyway. Don’t wash all your cloths together. I machine wash all my cleaning cloths because I want to get them as clean as possible. All these tips and tricks are useless if you throw all these cloths into one load of laundry; make sure you separate your dark cloths out. I throw my dish cloths in with my kitchen towels, but I always make sure to wash the dark cloths alone. I will even let them soak in a mixture of water, blue dawn dish soap and hydrogen peroxide first. A good soak makes for a clean and sterile cloth. 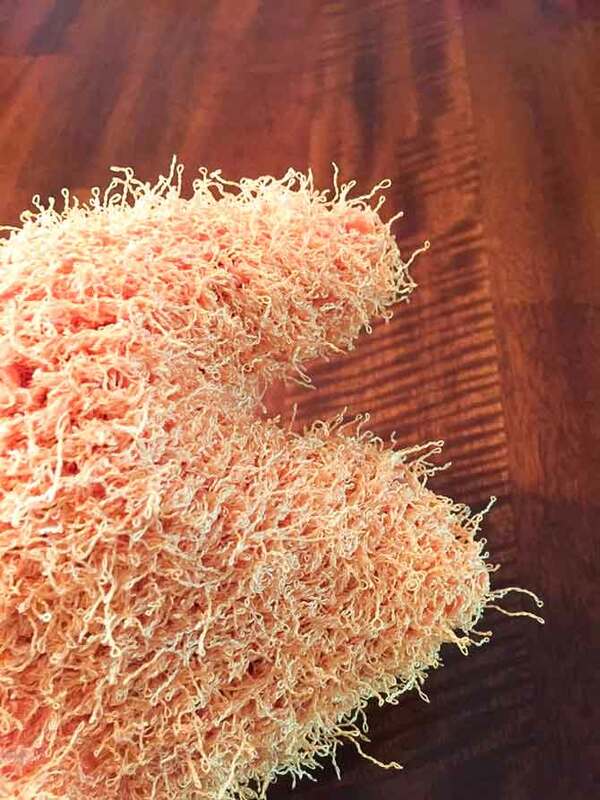 I have one last tip for cleaning aficionados everywhere and that has to do with the Red Heart pattern for the Fish Time Scrubbing Mitt. 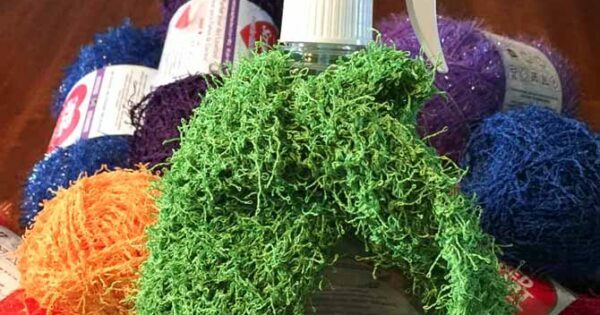 This is an excellent cleaning device with a lot of applications. My personal favorite for this mitt is cleaning window blinds. There are a great deal of windows in my house and all, except one are covered with blinds. If you don’t put your fingers all the way to the end of the slat, you’re able to make an opening between your fingers and thumb (think sock puppet). You can wipe down your blinds with a cloth that stays over your fingers. If you’re looking to make something that’s going to be blinds specific, you can knit two small versions of this mitt and slip the mitt over the ends of tongs. Then attach them to the ends with an elastic. It may look a bit like Pac-Man, but this is what I mean by “think sock puppet.” One slat from your blinds fits right in that little crevice. 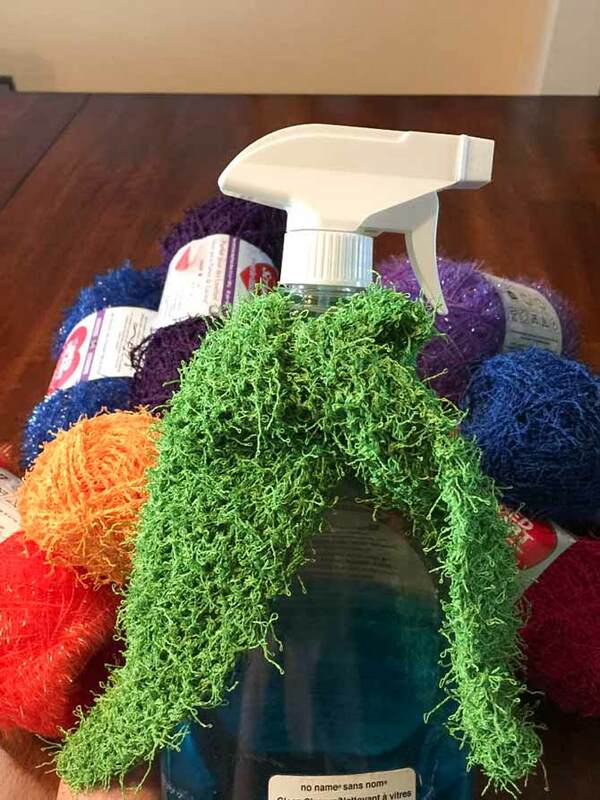 I hope these four tips get you onto your spring cleaning with gusto, or at the very least, make you want to start knitting the cleaning cloths you’re going to be using. It’s a long process and it has to start somewhere so why shouldn’t it start with making some affordable and fun dish and cleaning cloths.